Note: After ban on asbestos by 50 countries, US, Brazil and Canada are all set to ban it too but the alarming rate of consumption and its ubiquitous presence everywhere especially in Indian cities is fraught with fatal health consequences. 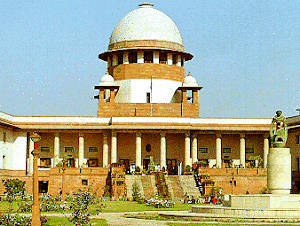 But the patronage that India's asbestos industry enjoys from the all the political parties, the corruption in National Institute of Occupational Health (NIOH) and World Health Organisation ensures rampant exposure among workers and consumers even as health professionals in India remain mute spectators to this act of culpable homicide. Fernanda Giannasi who is spearheading the campaign to get asbestos banned in Brazil is one of the co-founders of Ban Asbestos Network of India..
India’s asbestos-cement industry may face significant shortage in supplies of a key raw material, asbestos, after a recent partial ban on it in Brazil and the prospect of one in Canada, countries that are India’s second and third largest suppliers after Russia. 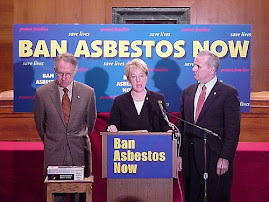 Asbestos fibre causes cancer and the product and its mining is banned in several countries, including the US. The mining and use of two variants, brown and blue asbestos, is banned in India too. 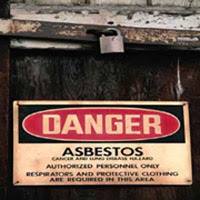 Asbestos, also known as chrysotile, however, continues to be used in the country where it is often mixed with cement to create asbestos-cement which finds a use as roofing for low-cost houses. Industry estimates put the size of the asbestos-cement industry here at around Rs3,000 crore. Much of the white asbestos used by this industry is imported. According to the latest data available with the UN Commodity Trade database, India imported 253,382 tonnes of white asbestos in 2006, of which 95,939 tonnes were imported from Russia, 50,244 tonnes from Canada and 37,702 from Brazil. Canada and Brazil together supply nearly 35% of India’s asbestos requirements. In June, Brazil’s highest court allowed individual states to ban asbestos. 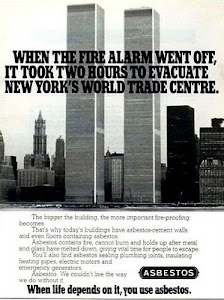 Since then Sao Paulo, Rio de Janeiro, Pernambuco and Rio Grande do Sul have banned asbestos. 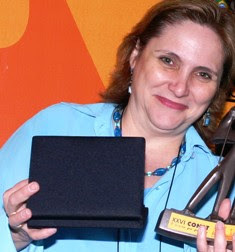 “Encouraged by the legal precedent set by the (Brazilian) Supreme Court, states such as Santa Catarina, Parana and Maranhao are in the process of enacting legislations to ban asbestos,” Fernanda Giannasi, occupational and environmental health specialist with the Sao Paulo labour department wrote in an email. Since the ruling, shares of Eternit SA, Brazil’s biggest asbestos firm, have fallen by almost 35% on the country’s stock market. In an 8 July interview with Brazilian newspaper Valor Economico, Eternit president Elio Martins said the firm is exploring diversification strategies to survive in the event of a national ban on asbestos. In Canada, the world’s third largest exporter of white asbestos, after continued pressure from environmental and health activists, the country’s federal health department constituted a seven-member expert committee in November 2007 to look into the relative carcinogenic potency of white asbestos. 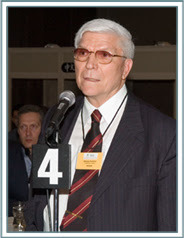 The expert committee submitted its report, meant to be the reference point for Canadian government’s decision on the issue of asbestos, on 28 March. “At the time of submission, we were assured that the report would be released to the public in two weeks,” Leslie Thomas Stayner, a member of the panel, wrote in an email in response to a query from Mint. Fifteen weeks after submission, the government is under pressure from panel members and the media to release the report to the public. “Health Canada will carefully review the findings to help further its knowledge of chrysotile asbestos fibres in relation to human health. The report will be made available to the public after the department has reviewed the findings,” Health Canada spokesperson Paul Duchesne said in an email. Declining to divulge the conclusions arrived at by the committee, Stayner, who is also a professor in the School of Public Health at the University of Illinois in Chicago, said the existing scientific information justified a Canadian ban on chrysotile as it poses substantial lung cancer risk to those exposed to it. Vivekanand, who is also managing director of Hyderabad-based Visaka Industries Ltd, one of the biggest players in the Indian asbestos industry, said he is hopeful Canada won’t impose a ban on asbestos. “Even without problems arising from the ban in different countries, the industry is already dealing with shortages because of huge increase in consumption by Russia and China. Further, supplies from Zimbabwe, a large exporter, have been affected by that country’s internal problems,” Ramco Industries Ltd managing director P.R. Venkatarama Raju said. The shortage has resulted in an increase in price which has encouraged some buyers to look for alternatives to asbestos cement. “In the event of long-term supply-side constraints, some of the production facilities will have to be shut down, and the industry will have to look towards alternative substances,” Raju added. Chennai-based Ramco, one of the top three players in the industry, sold asbestos-cement sheets worth Rs311 crore in 2006. Asbestos has made significant inroads into rural construction in India as it provides a cheap and weather-resistant roofing option. “As India procures a large chunk of its asbestos from external sources, any supply shortage will result in a price spike. Also, consumer awareness about health risks associated with asbestos is already pushing the quest for substitute material to replace asbestos. So, it is possible the price spike will, in the long run, accelerate this shift from asbestos to alternative material,” Pawan Burde, an analyst with Angel Broking, said.